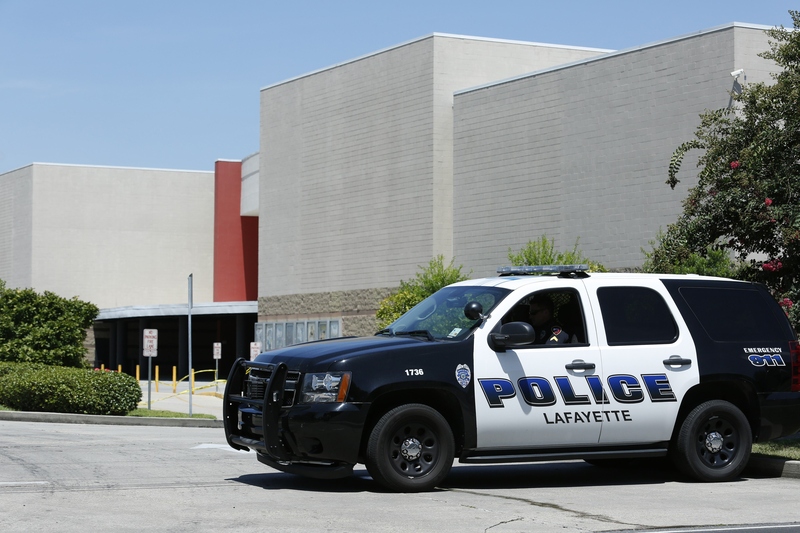 More details are emerging about John Houser, the man who opened fire in a Louisiana movie theater Thursday night, killing two people and injuring nine others. At a news conference on Friday, authorities confirmed Houser legally purchased a gun despite having a documented history of mental illness. Now, authorities are trying to figure out how Houser, who's been described as a "lone wolf" shooter, obtained the gun — and what could have been done to prevent this latest mass shooting. Sheriff Heath Taylor of Phenix City, Ala., where Houser previously lived, told reporters that Houser bought the .40-caliber handgun at a local pawn shop, according to the Associated Press. But authorities also contend that the 59-year-old shouldn't have been able to obtain the handgun, because of a previous involuntary hospitalization, as well as a restraining order stemming from domestic violence and an arson arrest from nearly 30 years ago. So, could stricter gun laws have stopped Houser from lawfully obtaining a handgun? Well, Houser was denied a permit for concealed carry in 2006 because of his domestic violence restraining order, Taylor told reporters Friday. But as for legally purchasing and possessing a gun in the first place, there was a way for Houser to be stopped — by the new mental-health guidelines outlined by the state of Alabama. Residents don't need a permit to purchase a gun in Alabama, making gun ownership easily accessible — unless you have a violent or mentally unstable history. Or at least, that's how it's supposed to be. According to the Law Center to Prevent Gun Violence, federal law bars individuals who have been “adjudicated as a mental defective” or involuntarily committed to a mental institution from purchasing and possessing guns. Yet states aren't required to report these individuals to the database the FBI uses to conduct background checks. In Alabama, it's up to judges to alert the state's Criminal Justice Information Center about involuntary commitment orders for mental-health patients. But Houser may have fallen through the cracks because of bad timing. According to the Law Center to Prevent Gun Violence, judges previously had to report involuntary commitment orders if the orders were linked to "inappropriate" use of a firearm, or if the individual posed a threat with a firearm. It wasn't until 2013 that the state changed the law, requiring judges to forward all involuntary commitment orders, regardless if they explicitly involved guns or not, to the CJIC. Because Houser's involuntary commitment was in April 2008, according to court documents, his case may not have been forwarded to the CJIC. However, court documents alleged that Houser's family believed he did pose a threat, and his ex-wife removed all his firearms from his house. Still, Houser's troubling past, including the domestic violence restraining order and involuntary commitment, did not show up on any instant background checks because they weren't convictions. Although the NRA's Institute for Legislative Action states that sellers in Alabama cannot transfer a gun if they have "reasonable cause to believe [the buyer] has been convicted of a crime of violence, is a drug addict, a habitual drunkard, or of unsound mind," there aren't any in-depth background checks or mental health checks in the way. While family members and acquaintances have stated that Houser was mentally unstable, someone sold him a gun nonetheless. If these stronger laws were in place back then, Houser's troubled history may have been better documents by the CJIC, and he may have been blocked from lawfully purchasing the handgun.